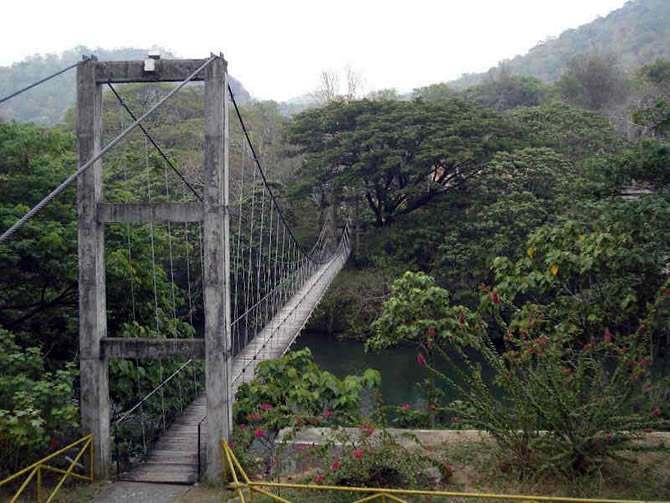 Home InfoArchitecture Most Dangerous Bridges In The World: Rope Hanging Bridges. 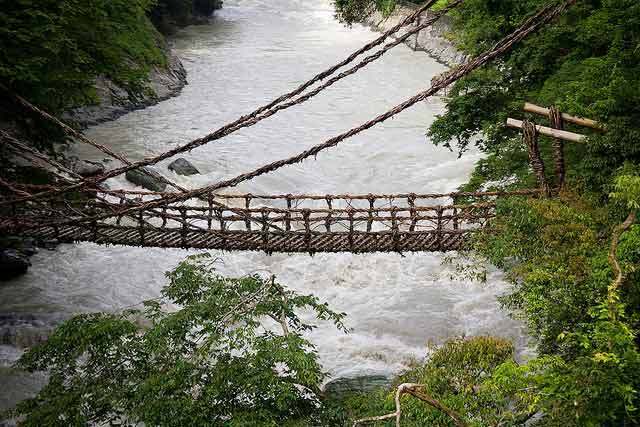 Most Dangerous Bridges In The World: Rope Hanging Bridges. 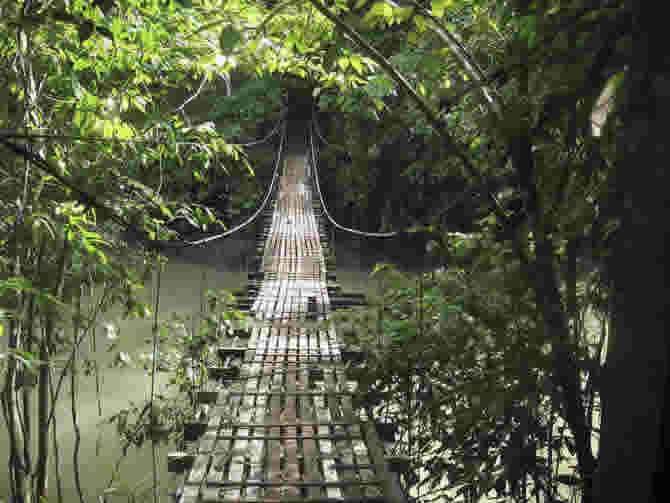 Bridges go far beyond the sturdy structures you drive across each day. 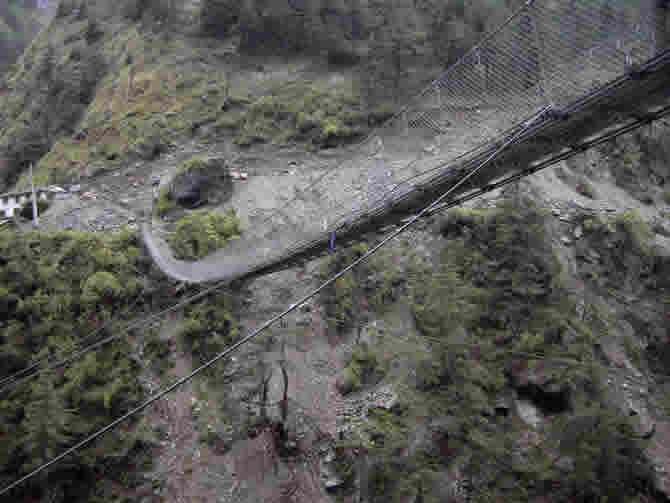 And some of the world’s most dangerous bridges (not to mention scariest-looking ones) were intended for foot traffic. That’s what we’re going to explore here. 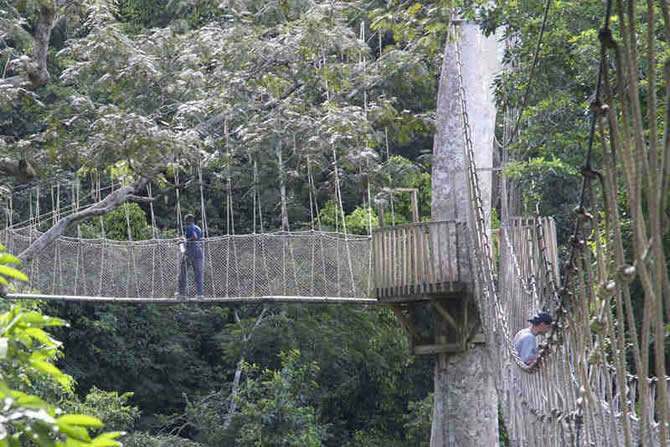 But more specifically, we’re going look at hanging foot bridges — you know, the kind that leave you dangling above a rushing river, gorge, or some other bit of nature you wouldn’t want to come face to face with on a fall. 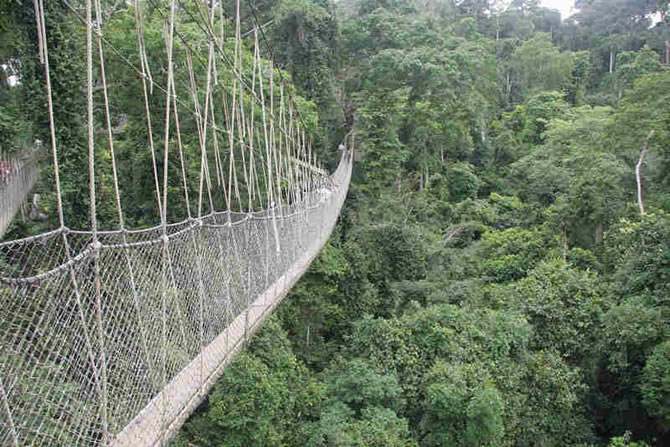 Before we take a look at some of the most dangerous bridges in the world, let’s explore some of the basics about these rope-style hanging bridges. 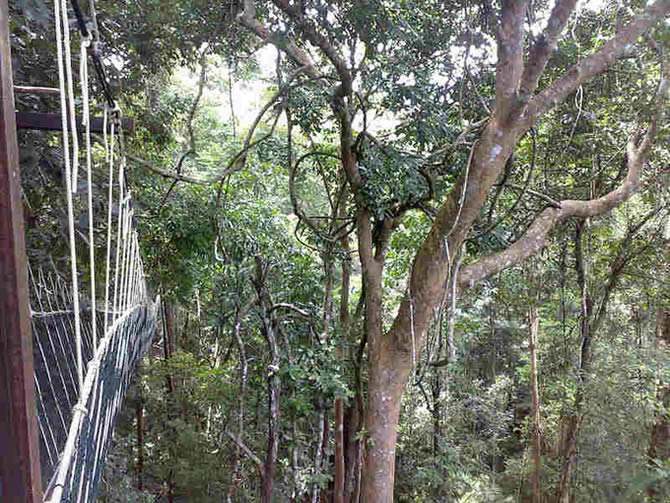 When you think of rope hanging bridges, what do you picture? One or two ropes like the makeshift bridges a young scout might set up on a camping trip? Or something more elaborate? Neither is right nor wrong. 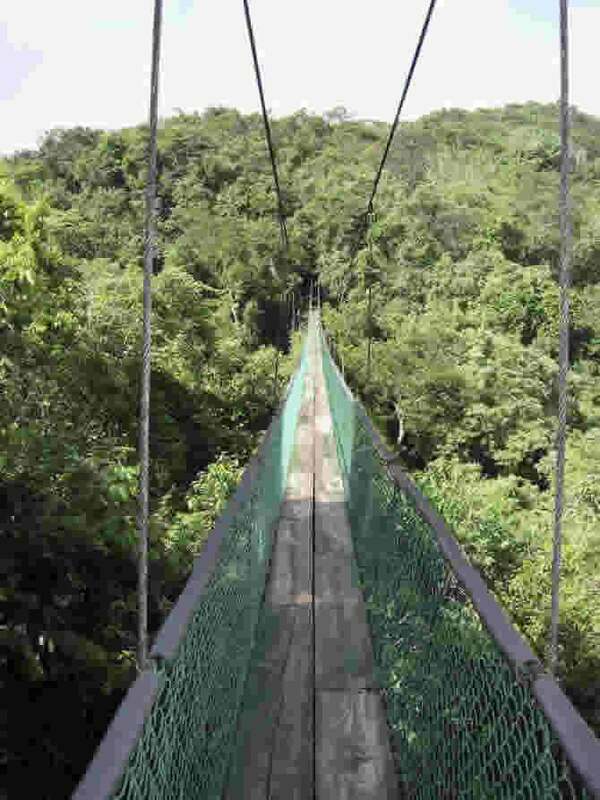 Hanging bridges come in a vast array of sizes and styles. Some aren’t even made with ropes. They might be made from vines or even tree roots. 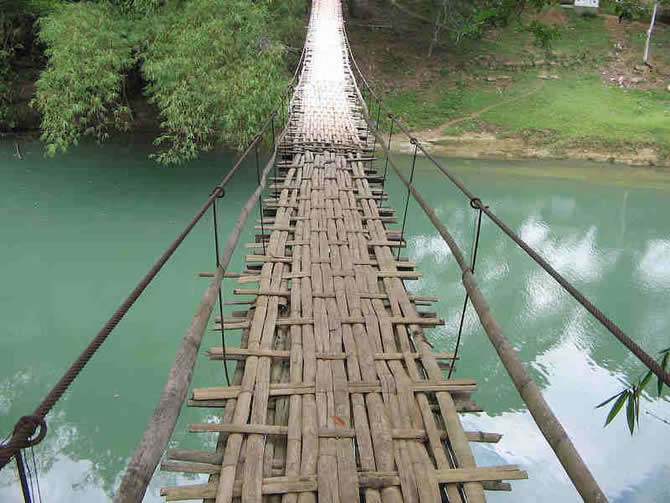 One thing these bridges have in common is that they’re primarily utilitarian. 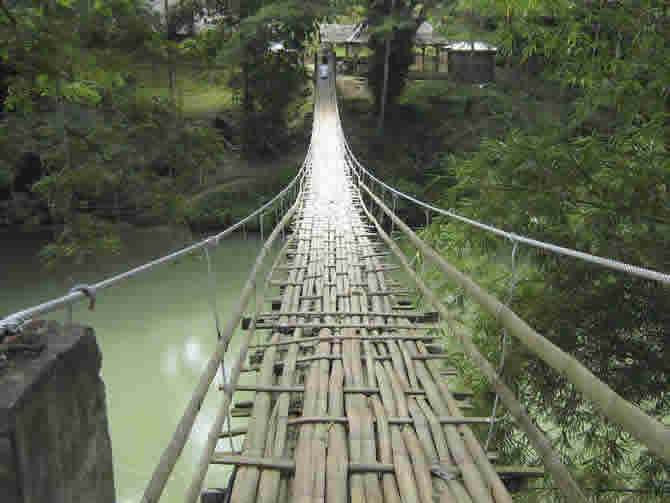 Rope bridges have been used throughout history to simplify travel. Herders would move their flocks from one plateau to another across them. Ancient peoples would connect their cliff-side villages with them. 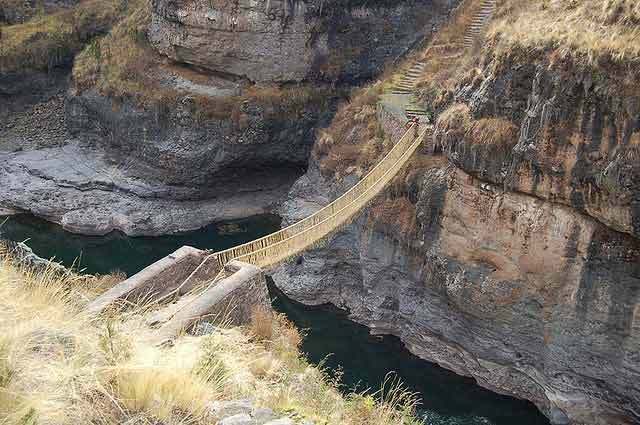 In the case of the old Incan handwoven bridges showcased below, even the Spanish conquistadors used them to transport things like canons, and they marveled at the engineering feat. 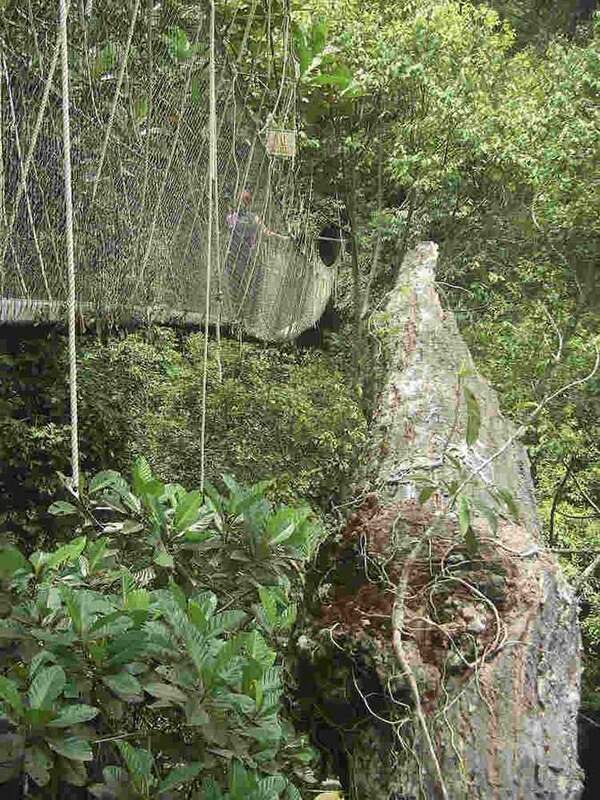 If rope hanging bridges could support a cannon, they surely must be safe for you to walk across, right? Well, not so fast. Keep in mind that safety is subjective. 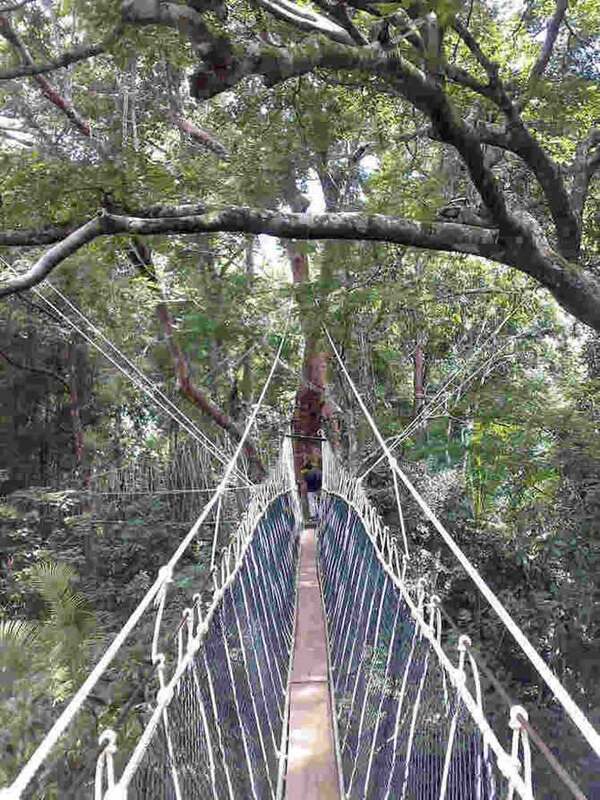 Different rope hanging bridges were made in different ways. 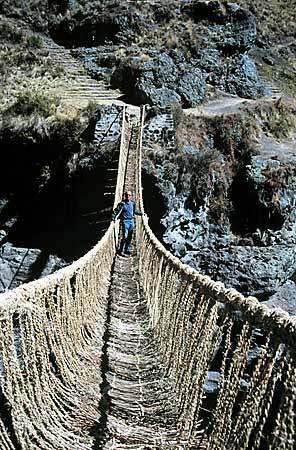 Some, like the Incan bridge, have been very well maintained whereas others have been left to the elements. 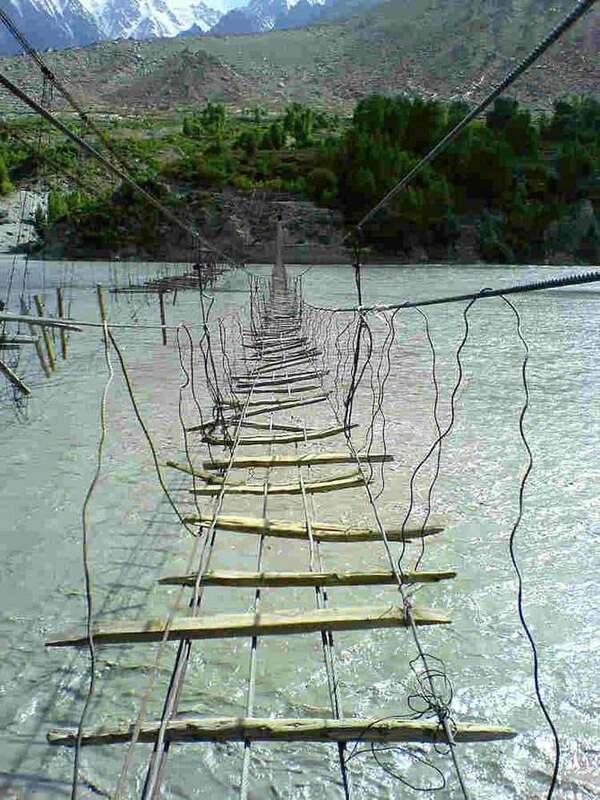 Never assume by the way a bridge looks. 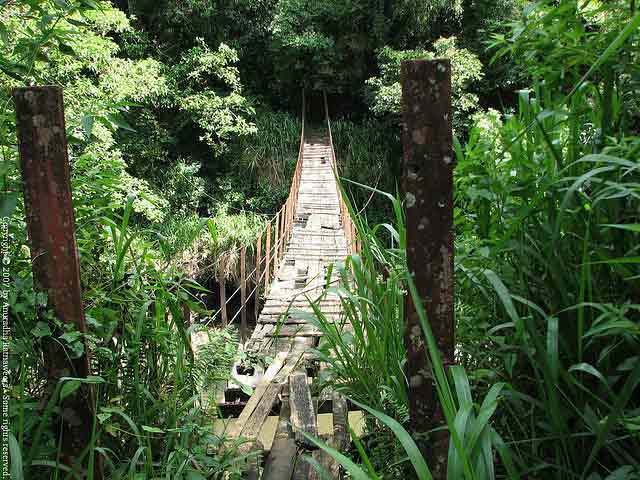 Do some research before exploring these or other dangerous bridges to see if they’re still safe and in working order. And now let’s get to our list. 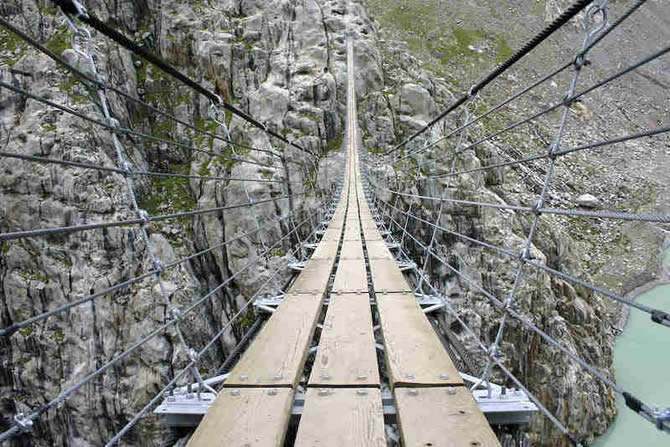 In addition to our original list of the world’s most dangerous bridges which you can find below, we’ve added the following three new additions to excite your imagination (or perhaps strike a bit of fear). Enjoy. 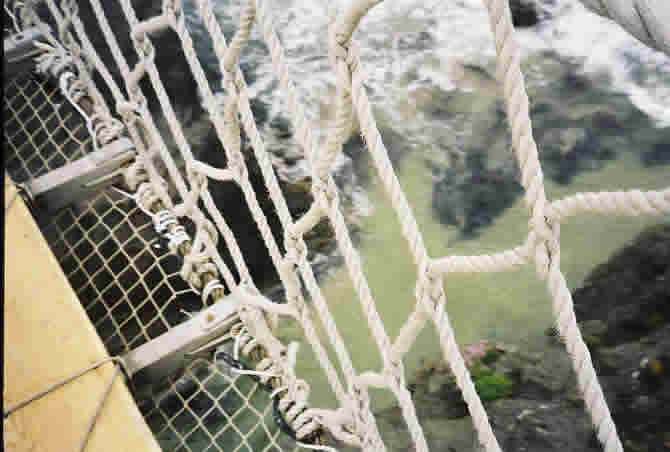 This handwoven bridge is the last operational Incan rope bridge in existence. It has survived this long thanks to a group of families who meticulously maintain the bridge by making repairs every year (such as replacing support cables) as a way of honoring their ancestors. 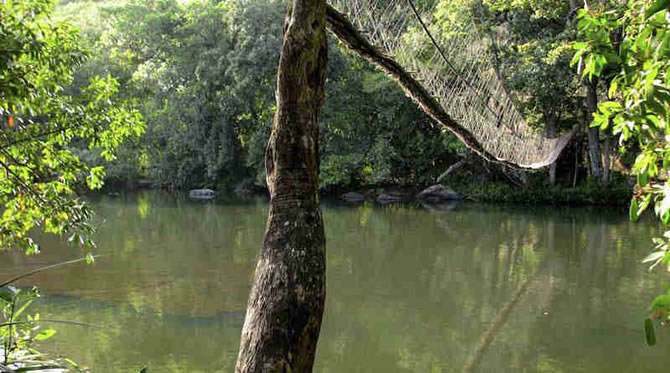 This footbridge crosses the Kotmale Oya, a river in Sri Lanka. There’s something hauntingly beautiful about it despite (or perhaps because of) its apparent disrepair. This addition to our list is thanks to a recommendation from our readers in the comments. 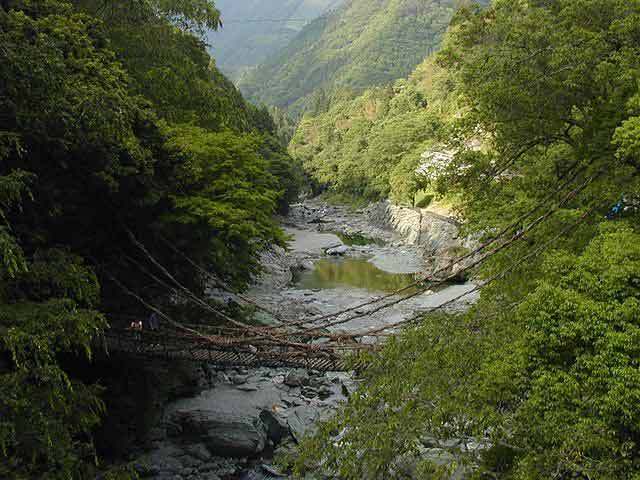 Iya Valley is famous for its gorgeous mountains and the old vine bridges that span some of their valleys and rivers. Here’s a beautiful example of the kind of vine bridges you might encounter on a visit. 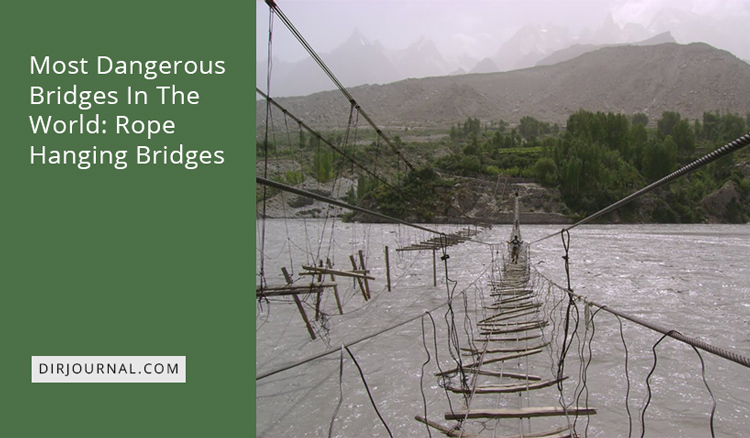 Now let’s get to our original list of the world’s most dangerous bridges, featuring a collection of hanging rope bridges for your enjoyment. Note: This post was originally published on May 11, 2009. It was updated with new content and additional photographs on its currently-listed publication date. In an earlier post, we have discussed some of the roads that are listed among the most dangerous in the world … for driving. 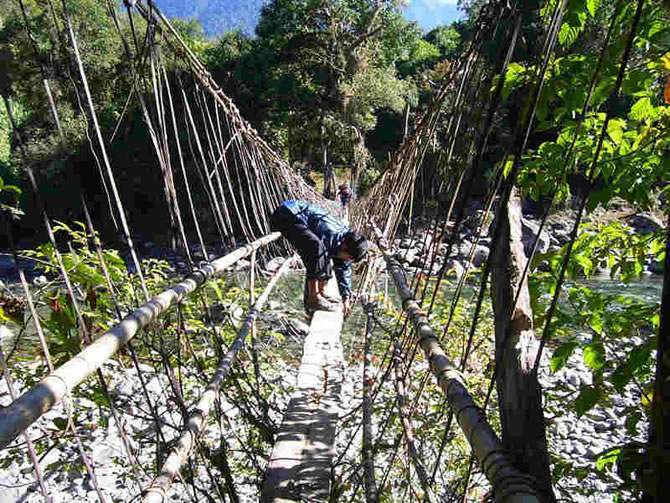 Today, we’d like to acquaint you with some of the world’s most dangerous bridges that are meant only for walking. 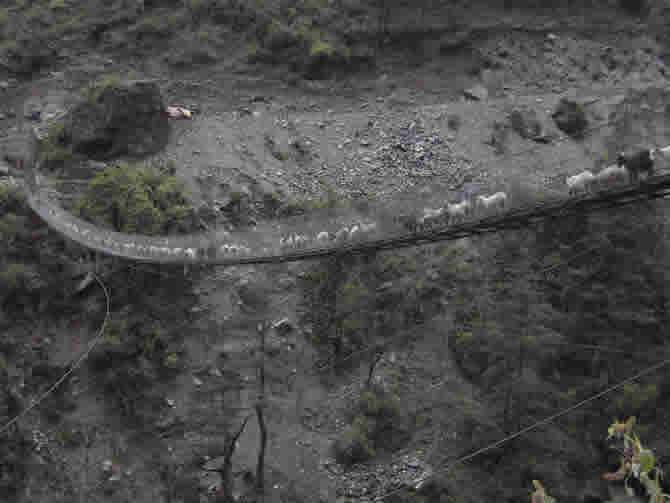 These are the so-called rope hanging bridges. 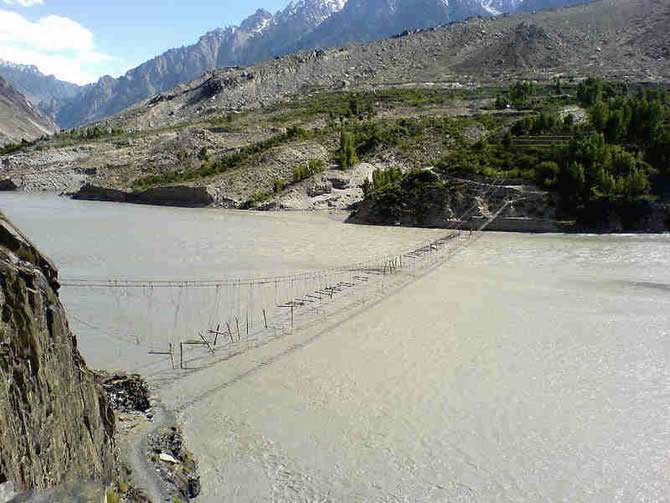 You can find a wide variety of these bridges in countries like India, Malaysia, Philippines, New Zealand, Pakistan, Nepal, as well as in the interiors of some other countries. 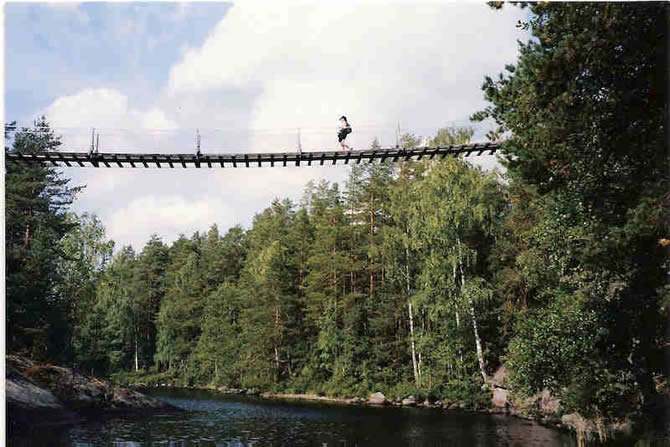 A bridge can prove to be dangerous for a variety of reasons; either because it’s very old, narrow, too high up above the land, over a quick river or if the wooden “floor” goes missing. 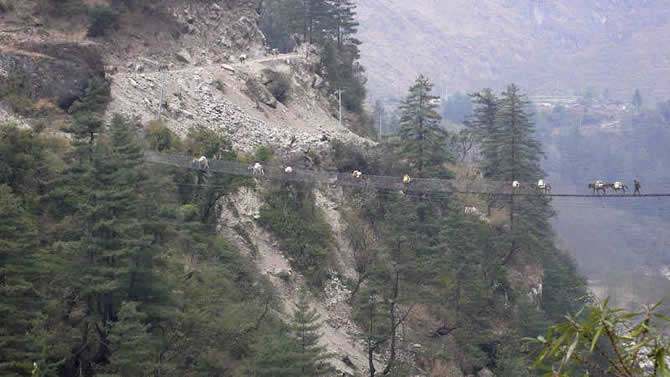 What makes them dangerous is the fact that in spite of the condition of the bridge, they have to be used; as many a time, these pathways are the main or even the only way for the local inhabitants of a small village to reach a bigger city. 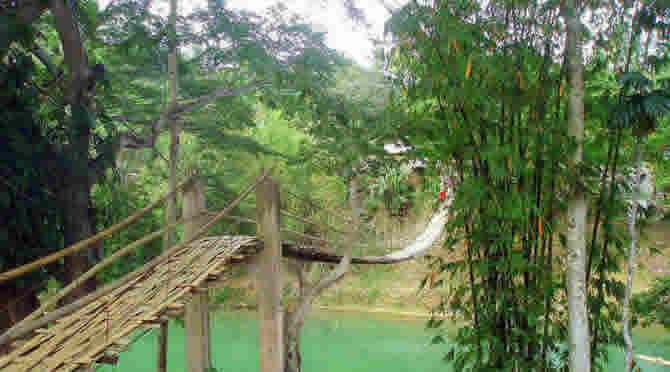 Among all the bridges, the most popular among tourists are the hanging bridges. Let’s take a look at some of them. Before we start, I’d like to make a small note that this post is not meant to be scientific or a historical fact-sheet. The intention is to provide some entertainment in the form of a picturesque fun post that may even hold a surprise element. 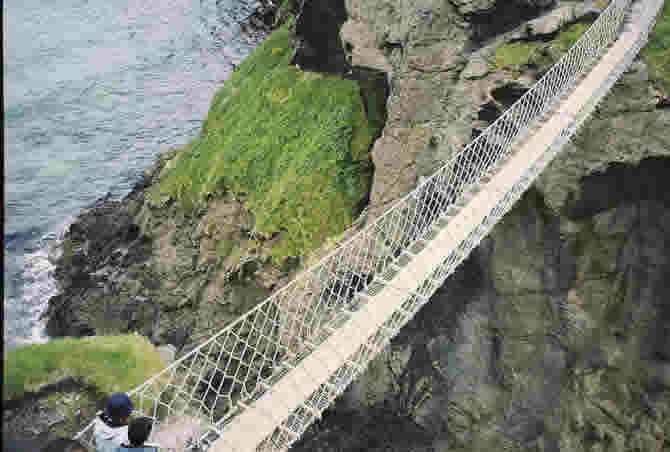 If you have ever seen or been on any such bridges, let us know and we’ll add it to the post. Enjoy the post! 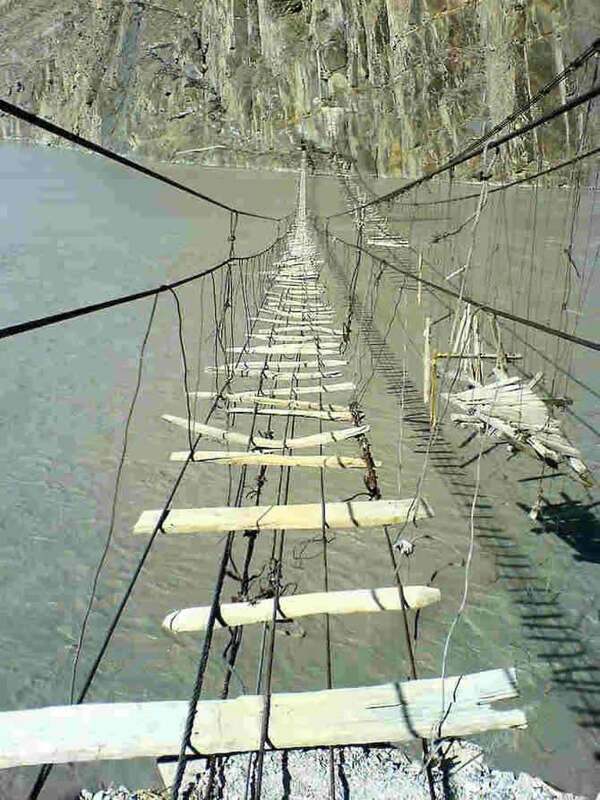 I have to say, except for the first one, all these bridges look totally safe – hardly the most dangerous in the world. 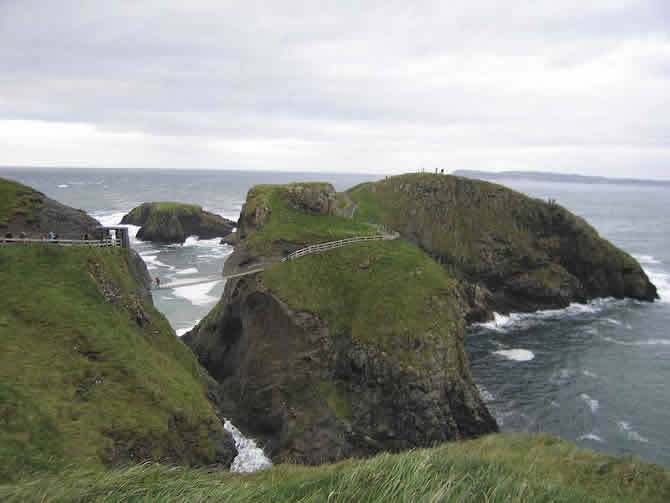 Take the one in Ireland, for instance – that bridge is taken down during the winter, and reassembled in spring. 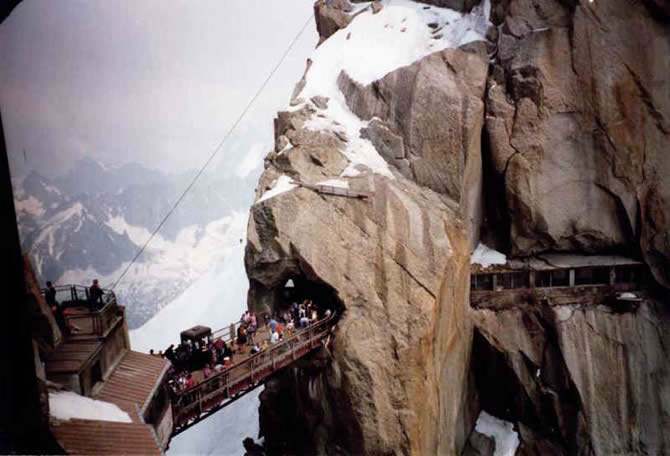 This means that it isn’t open during dangerous winter months, and provides a tourist attraction in the summer. Hence, due to the large volume of people crossing it, very strict regulations are imposed regarding its safety. surely it’s not designed to cross. Most of them were actually crafted well, like I said, except for the first one. 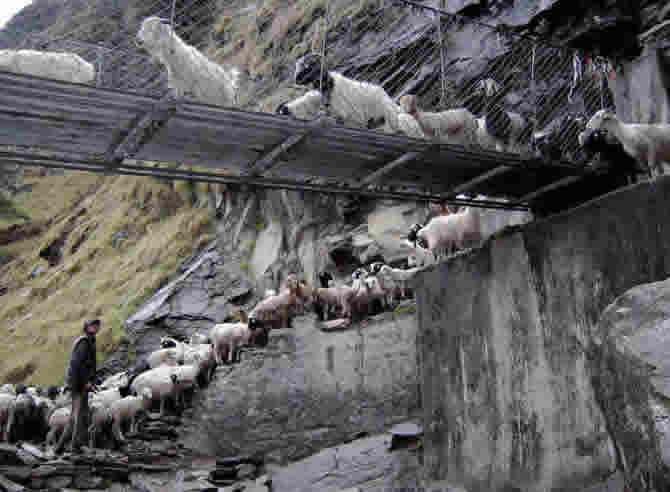 See noone else is interested in these LAME bridges…Noone is commenting them. Next time do some better research and find something people will actually like. 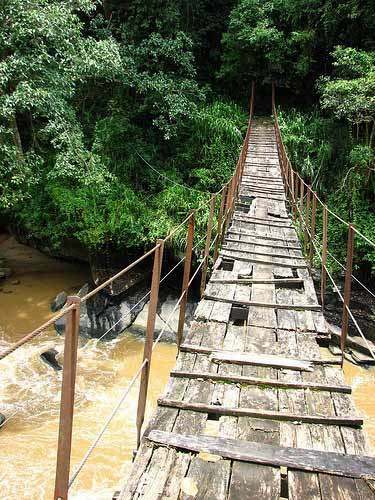 The country I live have much more dangerous bridges than what I saw in this collection. 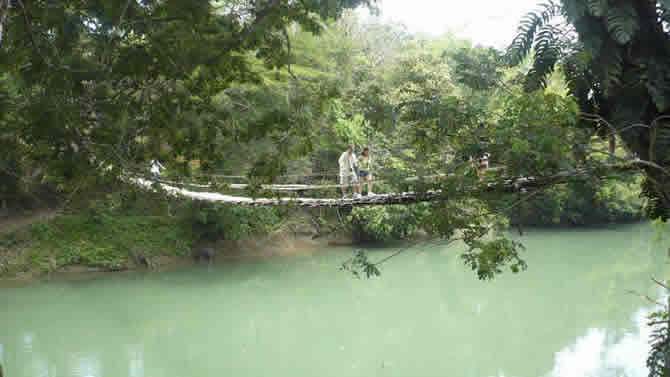 However much they seems to be dangerous, these bridges still serves the requirements of the indigenous people of the locality. I DON”T understand why they are ‘dangerous’ at all. Is it because people have fallen off them (is there data to support this)? The Most Dangerous bridge in the world is actually the Golden Gate Bridge in San Francisco where on average at least one successful suicide happens each week. 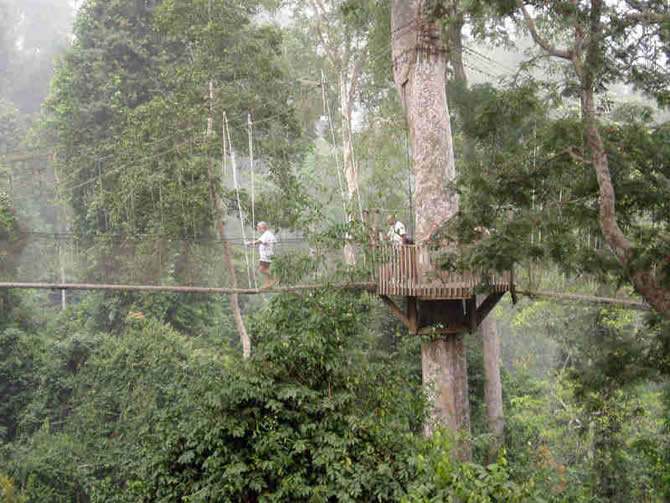 how scary i could never walk on one of those!!!!!!! 126 comments and nothing about Indiana Jones? 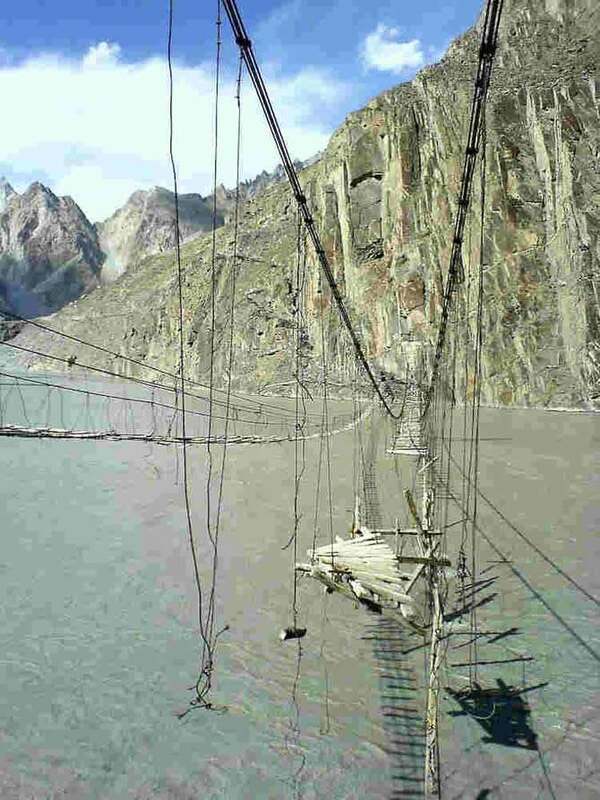 pakistan has the most dnagerous bridge . 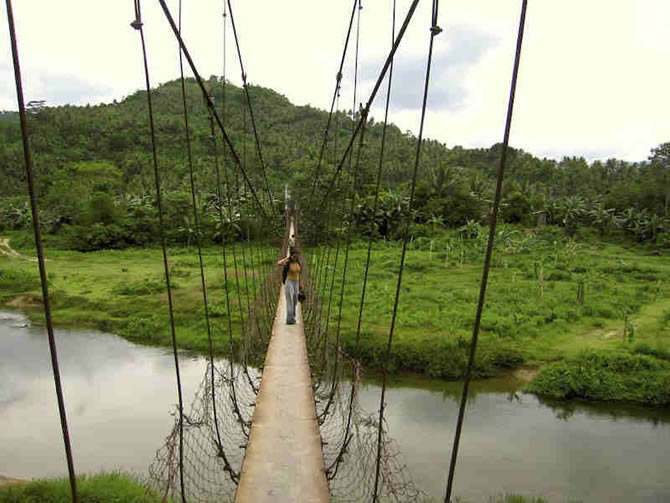 but philippines’ bridge is awesome ! 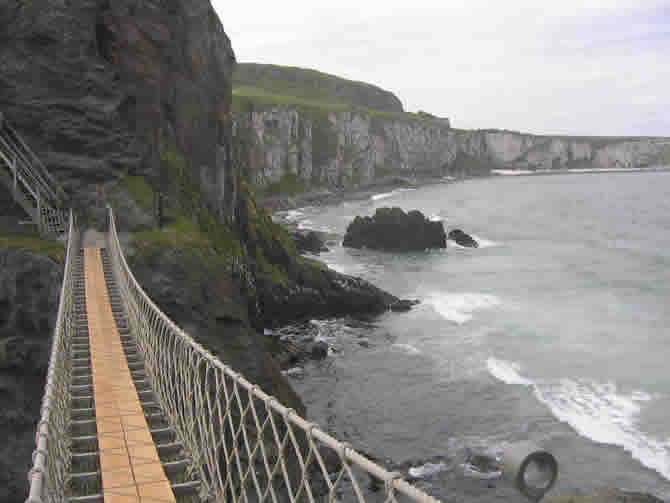 I’ve been over Carrick-a-Rede rope bridge several times. Scary it might be but dangerous? No. are all of them tourist spots, or some of them used by the local people of that region? 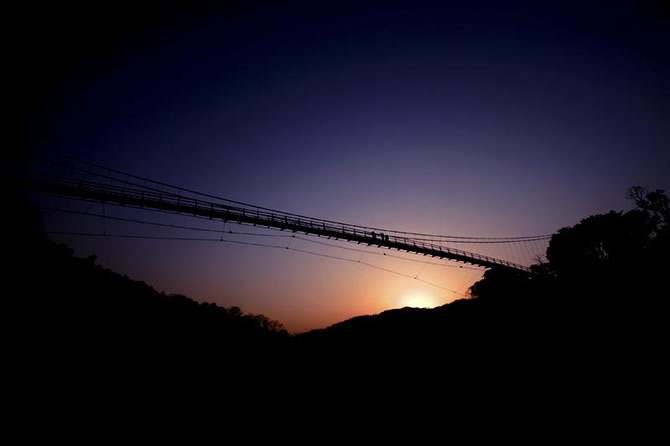 This is a wonderful collection of bridges, beautiful photographs and certainly they live up to the label of dangerous! I love the virtual tour, but I doubt I could ever bring myself to try crossing one of them! No pictures from Washington State? Come on! Fantastic blog! 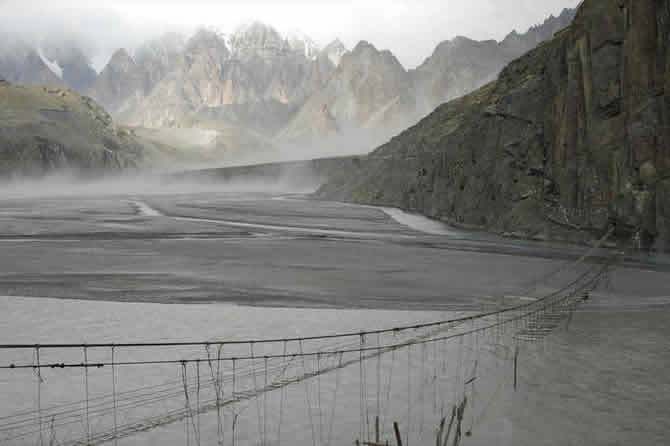 These rudimentary suspension bridges are sometimes the only means of access to remote isolated places. The authorities that own or are responsible for them should ensure that they are safe for the users by properly maintaining and repairing them. The one in Pakistan certainly needs attention. Ha! These look straight out of the movies!